As you may know, I met up recently with the Petrona Award judges to discuss the 2015 Petrona Award and I can now reveal which titles are on the shortlist. In an old abandoned building in Edinburgh, a surveyor struggles with his fear of heights to check the state of the roof. He is horrified when he finds the skeleton of a man hidden in a turret at one of the corners. The small Cold Case specialist unit is called in to investigate. 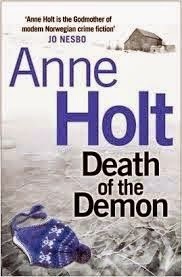 When the death is found to be the result of a gunshot eight years previously, Detective Chief Inspector Karen Pirie and her assistant DC Jason Murray, must first identity the body before starting to get to grips with finding the murderer. Meanwhile in Oxford, Professor Maggie Blake is reluctantly celebrating her fiftieth birthday. She has a long and successful career in the subject of Geopolitics, particularly of the countries of the former Yugoslavia but her personal relationships leave a lot to desire after the love of her life, Dimitar Petrovic, walked out of her life without a backward glance. Some lawyers who are working for the International Criminal Tribunal to bring war criminals from the former Yugolavia to trial have been tasked with finding the individual who is killing the very people they are working to bring to justice. Their search leads them to Edinburgh and to Karen and Jason's investigations. Meanwhile the police evidence leads Karen and Jason's search to Oxford, Maggie and the missing Dimitar. Running through the book are the horrific events in the conflicts leading up to the break up of Yugoslavia in the 1990s including the siege and almost destruction of Dubrovnik. When reading this, I could not help but think of the similar events happening in the world today, the atrocities, destruction and deaths. 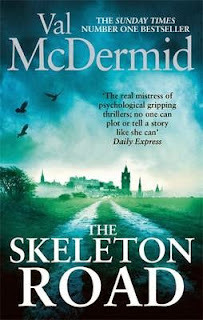 THE SKELETON ROAD is a very sad book but a good read as always offered by this author. 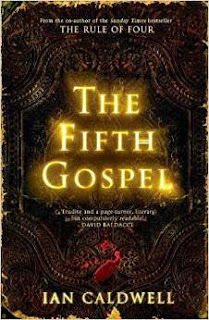 This is a stand-alone book rather than a continuation of a series. 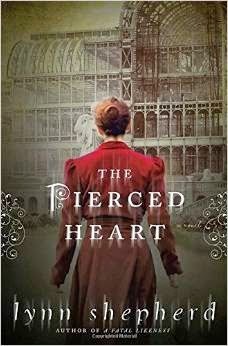 Please welcome new reviewer Ewa Sherman who makes her debut today. A reminder that FriendFeed is being withdrawn on 9 April, so our crime and mystery group has new home on Facebook - Petrona's Crime and Mystery Friends. It's a closed group but there are admins in all time zones so you won't have to wait long to be approved. Do join us - new members are very welcome! 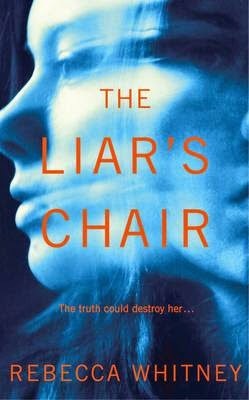 and Susan White reviews Rebecca Whitney's debut, The Liar's Chair. 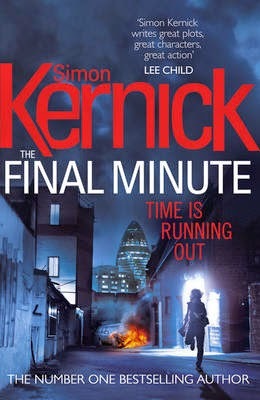 Detective Chief Inspector John Marvel is on his way home to Debbie, when he spots a woman on a ledge, about to jump off onto the rails in front of a train. 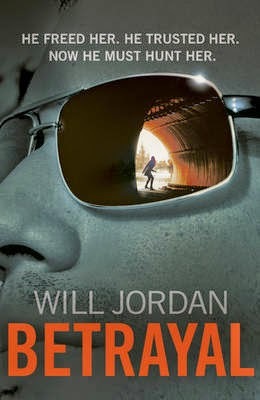 He tells her a small white lie, that the trains are now longer running as it's after 8pm, and saves her life. The woman is Anna Buck, married to the car mechanic, James Buck, and they both live next door to the garage where he works. Sadly, outside their house, in the cement of the garage forecourt are five small footsteps preserved in cement, the footsteps of her missing four year old boy, Daniel. 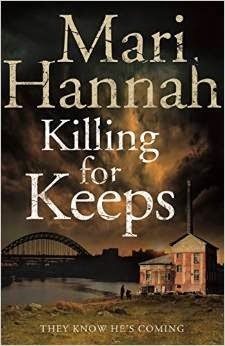 Anna is badly affected by his disappearance, cleaning the flat with bleach on a daily basis, and looking after a baby that is just a doll. But then she finds a flyer for a meeting in a church featuring the TV psychic, Richard Latham, and she takes the first steps to change, by leaving her house properly for the first time. She goes to the meeting to see what Latham can tell her, because she knows Daniel is not dead. Can she afford to pay him for a consultation? Can he help her find Daniel? As a foil perhaps to this sadness, the superintendent takes Marvel off his current case (finding a missing girl called Edie) and tells him to find out what has happened to his wife's dog Mitzi (a poodle). Sandra, the wife, is also using Latham to try to find out where Mitzi is, but is refused help. At the meeting, Anna and Sandra connect and Anna takes a photo of Sandra and the poodle away with her. But in a surprising development, Anna has an odd reaction to the photograph, and suddenly has a vision that she can't interpret. Is she getting visions like Richard Latham? Like a 'shut eye'? Could she help to find the dog? What do the visions mean? 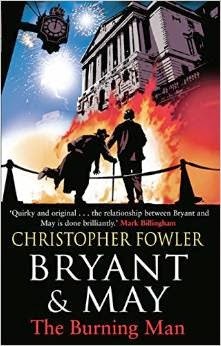 A quirky, intriguing story, set in the year 2000, but with the feel of 50 years earlier, particularly in the character of John Marvel, a brilliant but idiosyncratic detective. 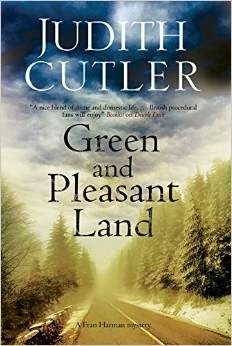 Anna is a fragile, yet strong-minded character, and the story is focused on her determination and obsession with finding her lost child. 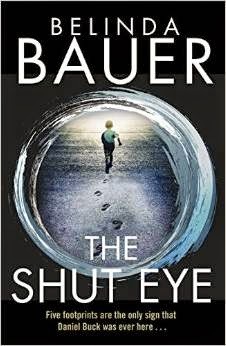 Bauer very cleverly builds up the tension precisely and carefully, drawing on our sympathy and engagement with the two main characters. And despite its gentleness, the story slows builds to a dramatic conclusion, as the stories of the lost children (and dogs) are played out. I very much enjoyed this book, and thoroughly recommend it. In September, in the U.K. and North America, Pushkin Press is launching Pushkin Vertigo, an imprint that will feature crime classics from around the world by international masters from the 1920s to the 1970s. The authors are well known in their original countries, and some have been translated into English previously. The company noted the popularity of international crime on TV and in books and said its Pushkin Vertigo titles have been "carefully selected by Pushkin's editors to feed the needs of those addicted to crime literature--the 'binge' readers." Another 14 titles will be published next year. 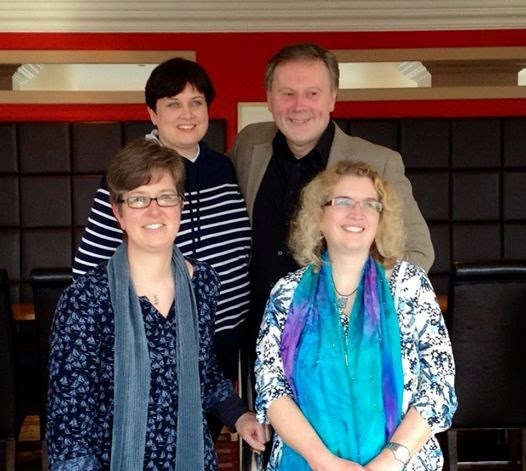 The Petrona Award judges' meeting on Friday went very well, here is a picture of the team, post decisions: Sarah, Barry, myself and Kat (clockwise). 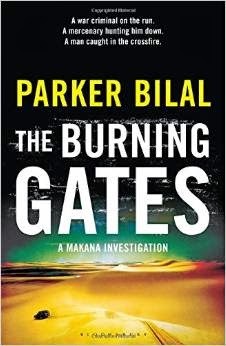 The press release announcing the six books on the shortlist will be available in a few days, stay tuned. Several years ago, Maxine (aka Petrona), set up a crime and mystery group on FriendFeed which has nearly 300 subscribers and is a chatty place for commenting on blog posts and is my first port of call in the morning. Sadly, though it's been on the cards for a while, FriendFeed will be withdrawn on 9 April. 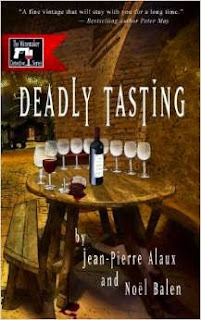 Thanks to Bernadette, we have a new home on Facebook - Petrona's Crime and Mystery Friends. It's a closed group but there are admins in all time zones so you won't have to wait long to be approved. Do join us - new members are very welcome! Secondly, The Petrona Award judges and myself are meeting tomorrow to decide the shortlist for this year's award. All I can tell you at the moment is that it's going to be difficult to pick the shortlist and that they will all come from this list. A woman driving carelessly home from a meeting with her lover is enjoying the power of her car and revelling in its speed as she pushes herself and the car to its limits when she loses control. She is horrified when she finds that she has knocked down and killed a tramp well known in the area. 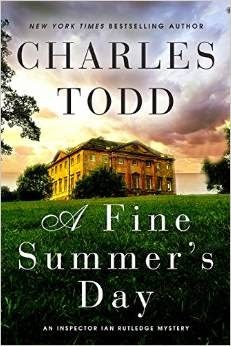 She hurriedly drags the body into hiding and continues home to the luxurious house she shares with her husband. Rachel Teller appears to have everything: a prosperous business, a loving husband and a fabulous home. However, appearances can be deceptive and David Teller is an over bearing bully and has a passion for making money, controlling everyone, including every facet of Rachel's life and also has a secret drug habit. Rachel attempts to clean herself and hide all evidence of the accident from her husband but he discovers her and she has to tell him everything. He is furious and when she wakes the next morning she finds no trace of anything untoward, and is instructed to forget it and to carry on as usual. However, Rachel's conscience will not let her forget and her life starts to unravel. This is an uncomfortable story of a marriage that has a thin veneer of sophistication but hides a great deal of unhappiness. As Rachel falls apart and she faces up to the consequences of the death she has caused, her memories of an emotionally abusive childhood are brought back to her mind. 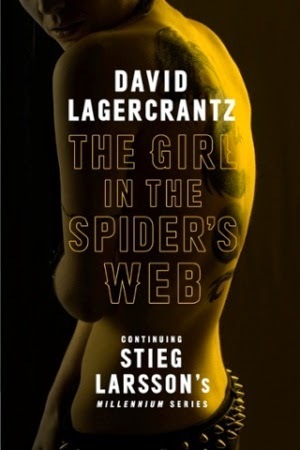 Her fantasies of a new life with her lover, Will, move further and further away as she struggles with her need for the comfort Will offers her and her concerns about David's actions if he discovers her relationship. 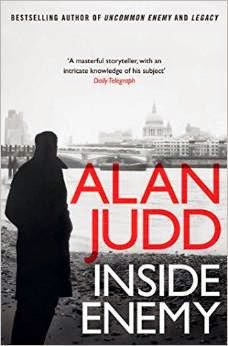 This ia a powerful and fast moving story set around Brighton. 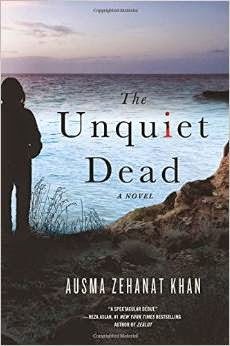 A debut novel that is written with assurance, dealing with powerful themes, including violence in marriage. Here are six reviews which have been added to the Euro Crime website today, three have appeared on the blog since last time, and three are completely new. 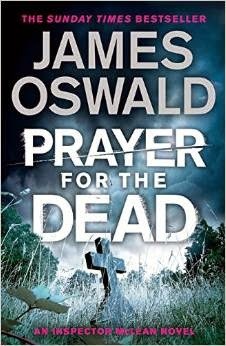 and Terry also reviews James Oswald's Prayer for the Dead the newest in the Inspector McLean series and the first to be released first in hardback.